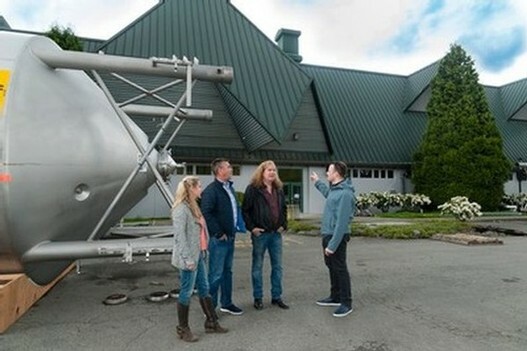 Kelly and Chris Sparkman, Founders of Sparkman Cellars, and Executive Winemaker Chris Upchurch and CEO Tom Dugan of DeLille Cellars meet at the Redhook site. 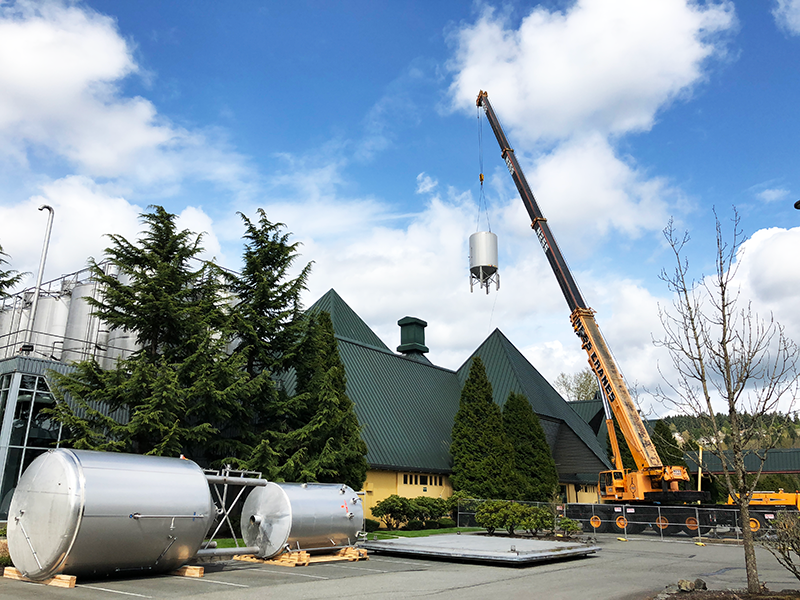 Both wineries will be moving to the former brewery. We are excited to announce that we will be moving our winery, tasting room, and offices to the iconic Redhook brewery building later this year. 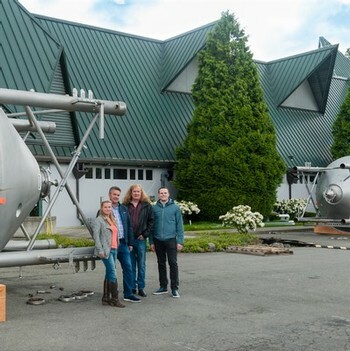 This will mark the first time since 1998 that our retail and winemaking operations will all be under one roof, and we can’t wait to share our new world-class wine experiences with you. All current operations will remain open until the new space is ready, which should be open in the fall of 2019. Our wine lounge in Kirkland, Maison DeLille, will continue to offer wine flights, glass pours and small bites to the Kirkland community indefinitely, and the DeLille Cellars Chateau will continue as a venue for weddings and private events. We can’t wait to share updates as we make progress on the space!